How does one go about creating a high-performance roof? 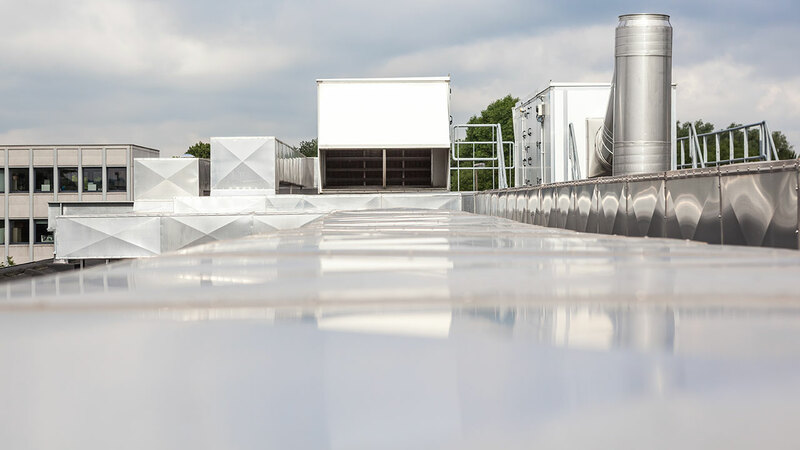 We’re talking about a roof that not only exceeds its design criteria and expected lifespan but also contributes cost-savings and performance improvements to the entire building. What should you specify when it comes down to creating a roof that can beat the test of time? No matter what you think about the environment, changes in the weather cycle are clear to even the most casual observer. Damages from floods, for example, were $10 billion per year in 1980, but they topped $20 billion per year in 2015. While you may not often think about floods in the context of protecting a roof, floods are usually accompanied by high winds and torrential rains – potential roof-killers, in other words. We’ve already spoken about how to protect your roof from extreme uplift forces generated by windstorms. In a nutshell, one should overbuild compared to ASCE-7 building codes, consider a metal roof (which can resist winds of up to 170 mph), and invest in a spray polyurethane foam membrane, which has superior uplift resistance. Heavy wind is typically accompanied by heavy rain, however – and torrential rainfall can wreak havoc on a roof as easily as wind. How do you defend against that? If your roof is already well-built, protecting your roof from heavy rain will involve regular inspection. For example, you should inspect your flashing before and after a heavy rainstorm and reinforce weak areas with new sealant. You should also check gutters and drainage systems to ensure that they’re still in good shape and good working order. Any roof-mounted equipment should be reinforced, and rusted fasteners should be replaced immediately. In addition to rain and snow, each region has its own special concerns to watch out for – hurricanes, blizzards, nor’easters, tornadoes, and more. Designing a truly long-lived roof means adapting your roof design to withstand these unique challenges based on your individual risk. As bad as extreme weather events can be, they have nothing on the power of the sun. Days, months, and years of regular sun and heat exposure will crumble roofing membranes and dissolve the sealant around flashings, which means that your roof will immediately begin to leak as soon as it does rain. Preventing the degrading effects of sunlight means selecting your roof materials wisely. Fortunately, you don’t need to break the bank. Lowering the temperature of your roof may be as simple as applying a reflective white coat of paint, turning your roof into a cool roof. White roofs reflect up to 90% of sunlight, which prevents your roof from heating up. As an additional benefit, this can reduce the cost of cooling your building in the summer by up to 40%. Instead of paint, you can use reflective tiles or simply a white-colored membrane. Just as its prudent to invest in a white roof to reduce sun exposure, it’s also useful to invest in a solution to keep heat in during winter. Insulation for non-residential buildings is required by a standard called ASHRAE 90.1. It states that buildings should have enough insulation so that they only lose a few BTU’s of heat per square yard, in a value that changes based on whether you’re building in one of six climate zones that the country is divided into. ASHRAE 90.1 is part of local building codes in many states, but there are more reasons to comply with it. Having adequate insulation in your roof keeps it at a stable temperature from day to day in the winter and summer months. This lessens thermal expansion and contraction – thus mitigating one of the primary forces responsible for degrading your roofing materials. If you’re already investing the time and effort necessary to create a roof that merely performs to specifications, creating a durable and high-performance roof is only a little extra work. You need to consider where you’re building and what the weather risks might be. It’s probably worth over-preparing based on the expectation of worsening weather. Once installed, you’ll find that your preparations aren’t just worth the extra expense. Rather, the money you save on heating, cooling, and additional maintenance will more than pay for themselves.